In this video Rod Giltaca, President of the Canadian Coalition for Firearm Rights, covers the significant increase in firearms regulations and laws in Canada that have been put into place since the early 1990s. It also highlights a selection of laws that lack any reasonable notion of common sense. 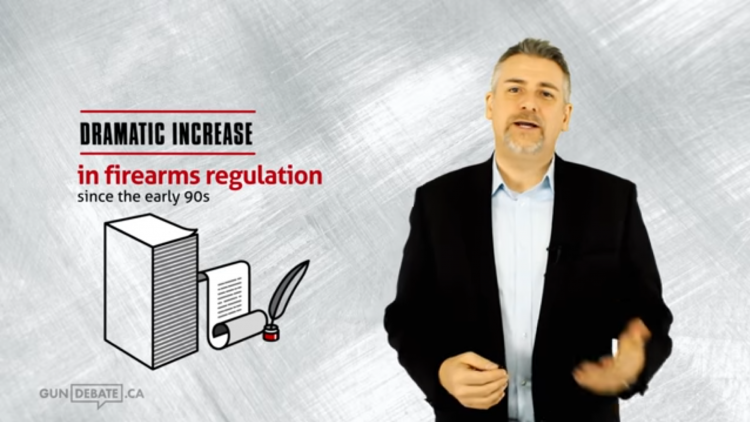 Below you will find a brief history of legislation in Canada since 1991 as published by the RCMP, and references for each specific claim made in the video. 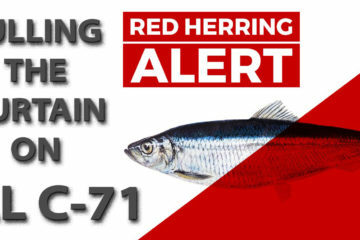 Bill C-17 was introduced. It passed in the House of Commons on November 7, received Senate approval and Royal Assent on December 5, 1991, then came into force between 1992 and 1994. Changes to the FAC system included requiring applicants to provide a photograph and two references; imposing a mandatory 28-day waiting period for an FAC; a mandatory requirement for safety training; and expanding the application form to provide more background information. Bill C-17 also required a more detailed screening check of FAC applicants. Some other major changes included: increased penalties for firearm-related crimes; new Criminal Code offences; new definitions for prohibited and restricted weapons; new regulations for firearms dealers; clearly defined regulations for the safe storage, handling and transportation of firearms; and a requirement that firearm regulations be drafted for review by Parliamentary committee before being made by Governor-in-Council. A major focus of the new legislation was the need for controls on military, para-military and high-firepower guns. New controls in this area included the prohibition of large-capacity cartridge magazines for automatic and semi-automatic firearms, the prohibition of automatic firearms that had been converted to avoid the 1978 prohibition (existing owners were exempted); and a series of Orders-in-Council prohibiting or restricting most para-military rifles and some types of non-sporting ammunition. The Bill C-17 requirement for FAC applicants to show knowledge of the safe handling of firearms came into force in 1994. To demonstrate knowledge, applicants had to pass the test for a firearms safety course approved by a provincial Attorney General, or a firearms officer had to certify that the applicant was competent in handling firearms safely. Bill C-17 added a requirement that safety courses had to cover firearms laws as well as safety issues. The provisions requiring mandatory minimum sentences for serious firearms crimes came into effect in January. 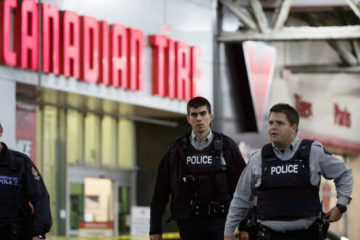 The Canada Firearms Centre (CFC) was given the task to develop the regulations, systems and infrastructure needed to implement the Firearms Act. CFC officials consulted extensively with the provinces and territories, and with groups and individuals with an interest in firearms, to ensure that the regulations reflected their needs as much as possible. – adaptations for Aboriginal people. In January and February, public hearings on the proposed regulations were held by the House of Commons Sub-Committee on the Draft Regulations on Firearms, of the Standing Committee of Justice and Legal Affairs, and by the Senate Legal and Constitutional Affairs Committee. Based on the presentations that were made, a number of recommendations were made for improvements to the regulations. These recommendations were to clarify various provisions and to give more recognition to legitimate needs of firearms users. The Committee also recommended that the government develop a variety of communications programs to provide information on the new law to groups and individuals with an interest in firearms. In April, the Minister of Justice tabled the government’s response, accepting all but one of the Committee’s 39 recommendations. The government rejected a recommendation for an additional procedure in the licence approval process. The regulations were passed in March. The Firearms Act and regulations were scheduled to be phased in starting December 1, 1998. The Canadian Firearms Registry was transferred from the Royal Canadian Mounted Police to the Department of Justice. The National Weapons Enforcement Support Team (NWEST) was created to support law enforcement in combating the illegal movement of firearms. NWEST also assists police agencies in investigative support, training and lectures, analytical assistance, firearms tracing, expert witnesses, and links to a network of national and international firearms investigative groups. In June 2003, proposed amendments to the Regulations supporting the Firearms Act were tabled in Parliament. Consultations with key stakeholders concerning the proposed regulations took place in the fall of 2003. In June, 2006, Bill C-21, An Act to Amend the Criminal Code and the Firearms Act, was tabled, with the intent of repealing the requirement to register non-restricted long guns. It dies on the order paper. Bill C-21 was reintroduced as Bill C-24. The RCMP amalgamated their firearms-related sections, the Canada Firearms Centre and the Firearms Support Services Directorate, into one integrated group, the Canadian Firearms Program (CFP). Bill C-24, like its predecessor, Bill C-21, died on the order paper in September 2008. The remainder of the Public Agents Firearms Regulations came into force on October 31, 2008. Police and other government agencies that use or hold firearms were required to report all firearms in their temporary or permanent possession. On April 5, Bill C-19, the Ending the Long-gun Registry Act, came into force. The bill amended the Criminal Code and the Firearms Act to remove the requirement to register non-restricted firearms, ordered the destruction of existing registration records and allowed the transferor of a non-restricted firearm to obtain confirmation of the validity of a transferee’s firearms acquisition licence prior to the transfer being finalized. 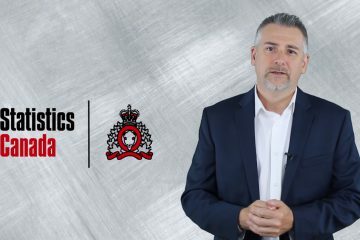 On June 18, Bill C-42,the Common Sense Firearms Licensing Act, received royal assent, and the following provisions of that Act came into force: The Act amended the Firearms Act and Criminal Code to make classroom participation in firearms safety courses mandatory for first-time licence applicants; provide for the discretionary authority of Chief Firearms Officers to be subject to the regulations; strengthen the Criminal Code provisions relating to orders prohibiting the possession of firearms where a person is convicted of an offence involving domestic violence; and, provide the Governor in Council with the authority to prescribe firearms to be non-restricted or restricted. On September 2, two additional provisions of the Common Sense Firearms Licensing Act came into force: the elimination of the Possession Only Licence (POL) and conversion of all existing POLs to Possession and Acquisition Licences; and the Authorization to Transport becoming a condition of a licence for certain routine and lawful activities. 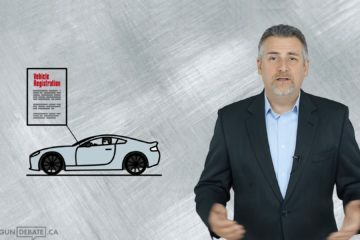 Other provisions of the Act which create a six month grace period at the end of a five year licence, and permitting the sharing of firearms import information when restricted and prohibited firearms are imported into Canada by businesses, are not yet in force. In 2015 the RCMP Classified a version of the Mossberg Blaze, a rimfire 22 Long Rifle semi-automatic rifle, prohibited solely due to it’s resemblance to an AK 47. Other versions of this rifle from mossberg are all non-restricted in Canada. In 2016, the RCMP classified classified a batch of newly imported CZ 858 Spartan rifles as prohibited based on some new engravings, which changed nothing as far as the rifles functionality. CZ 858 rifles that were already in Canada prior to this import are all currently non-restricted or restricted depending on barrel length. any firearm that is prescribed to be a prohibited firearm in the Regulations Prescribing Certain Firearms and other Weapons, Components and Parts of Weapons, Accessories, Cartridge Magazines, Ammunition and Projectiles as Prohibited, Restricted or Non-Restricted. Non-restricted firearm: any rifle or shotgun that is neither restricted nor prohibited. a firearm of any other kind that is prescribed to be a restricted firearm in the Regulations Prescribing Certain Firearms and other Weapons, Components and Parts of Weapons, Accessories, Cartridge Magazines, Ammunition and Projectiles as Prohibited, Restricted or Non-Restricted. A Handgun may only be possessed inside the dwelling of the registered owner or at a shooting range approved by the chief firearms officer in each province. Authorizations to transport a handgun out of a dwelling and onto a registered owner’s rural property for the purpose of target practice are not issued. The same restrictions do not apply to firearms classified as non-restricted. To be prohibited as a replica firearm, a device must closely resemble an existing make and model of firearm.